Tolerance analysis is the name given to a number of processes used to determine the overall variation and effect of variation on products stemming from imperfections in manufactured parts. As part of the tolerance analysis process, both original sources of the variation are determined, as well as a stack-up, that is, the combined variation of all parts in a given assembly. 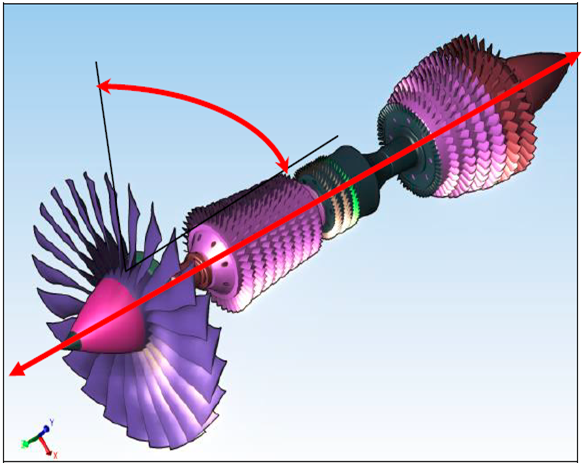 By analyzing the effects of dimensional part and process variation (tolerance analysis), manufacturers can better understand the source of dimensional variability within their design, rooting out potential issues before they become problems, reducing scrap rates, assembly fit issues and meeting customer expectations for dimensional quality. When manufactured, parts are never made to perfect specifications. Due to variation caused by material characteristics and manufacturing processes, such as stamping and machining, parts are always made larger or smaller than their nominal design. This variation is captured in design as tolerances, depicting the range of variation acceptable in the design. Tolerancing is the process of determining acceptable upper and lower limits on part dimensions. These dimensions are generally a +/-, which designates how much larger or smaller a given dimension, such as an edge, profile or hole size, can be and still assemble and function properly when incorporated into the larger product. Standardized languages have been created to make it easier to understand tolerancing methods and notes from customers, suppliers and engineers in order to create universal ‘languages’ for part quality. These standard languages include standards like ISO and ASME Y14.5 2009 Standard for the design language of geometric dimensioning and tolerancing (GD&T). This standard establishes a uniform practice for stating and interpreting GD&T and related requirements for use on engineering drawings and documents. Tolerancing directly influences the cost and performance of a product. A piece of sheet metal that is quickly stamped using a stamping die is much cheaper to produce than one that needs to be machined to more precise dimensions. The same applies for plastics, composites and any given part. The tighter, as in the smaller, the tolerance, the more difficult the part is to produce, and the more expensive the part is. In the same regard, the performance of a part and product is influenced by tolerances. An automobile door will not close well if the tolerances are very large, and may have additional road noise from a poor seal. Aircraft wings may need large amounts of shims if the tolerances are incorrect in order to fit properly to the fuselage. This costs time, money and increases the weight of the aircraft, reducing its fuel efficiency. Therefore, tolerancing and tolerance analysis are integral parts of the engineering process and product lifecycle management in order to produce high-quality products at reasonable prices. There are many methods of tolerance analysis that range from the most simple as stack-ups scribbled on napkins, to advanced 3D CAD based dimensional models. There isn’t a right and wrong way, as long as your math is correct! The real truth is, how accurate do you want your results? As the complexity of the tolerance analysis increases, so does its accuracy and ability to account for more influencers in the process. Let’s look at some different methods of conducting tolerance analysis. Pro – very fast. You get your answers very quickly. Con – Not accurate. This is the ‘quick and dirty’ method. You get an answer, but it is very basic and shouldn’t be used as the basis for major programs or design changes. It is good to get a rough idea of what to expect, or for quick validation of range. Pro – Fast and cheap. 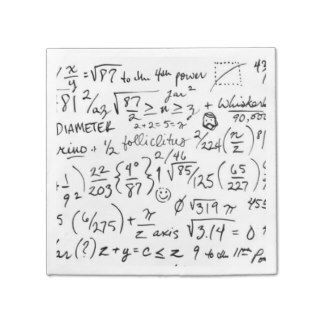 Like the Napkin Stack, this method can get answers quickly. With Excel macros, you can enter in your tolerances and let the software calculate quick stack-ups for you. Inexpensive tools, like 1DCS and others based on Excel, exist to make this method even easier. This, like the above method, give rough ideas of what to expect, or work for determining simple structures like a couple small parts in a sub-assembly, to better understand what to expect. Con – Low accuracy, lack of influencers, no root cause – This method is also relatively inaccurate. It leaves out a majority of influencers and gives no understanding of the root cause of build issues. If two parts do not fit together during assembly, this method will not give you the answer as to why. Pro – Good for simple structures, quick – This method often uses Excel as well, and gives a better understanding by incorporating all parts across a given plane. This helps include additional contributors, and can give a better understanding of outputs. This method is good for surface areas, like product skins, or simple structures. Con – Lack of influencers, poor root cause analysis – This method lacks 3D dimensional contributors. This can mean the difference between good and bad parts in many products. Any product with more than a few parts should be analyzed in 3D to account for how all of the parts influence the final geometry. In addition, because it lacks so many influencers, it is a poor method for root cause analysis. When issues arise on the plant floor, this may leave you with more questions than answers. 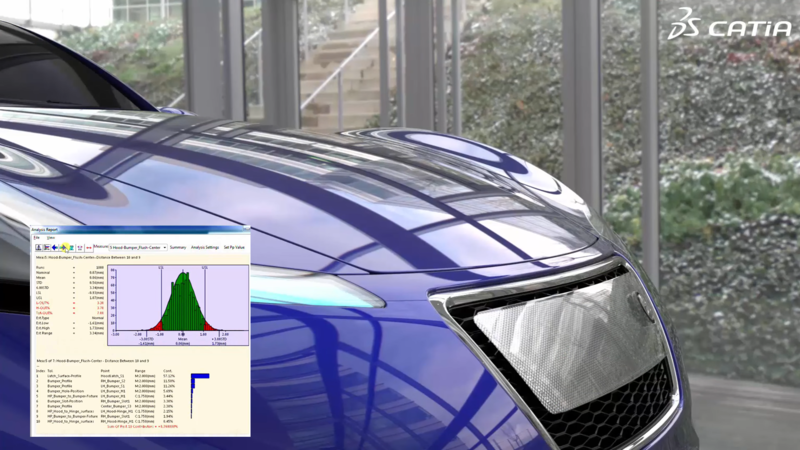 Pro – All influencers, root cause analysis, high degree of accuracy , process analysis– 3D Tolerance Analysis incorporates all the parts within an assembly, determining the overall effect on chosen features. This also allows for in-depth root cause analysis. 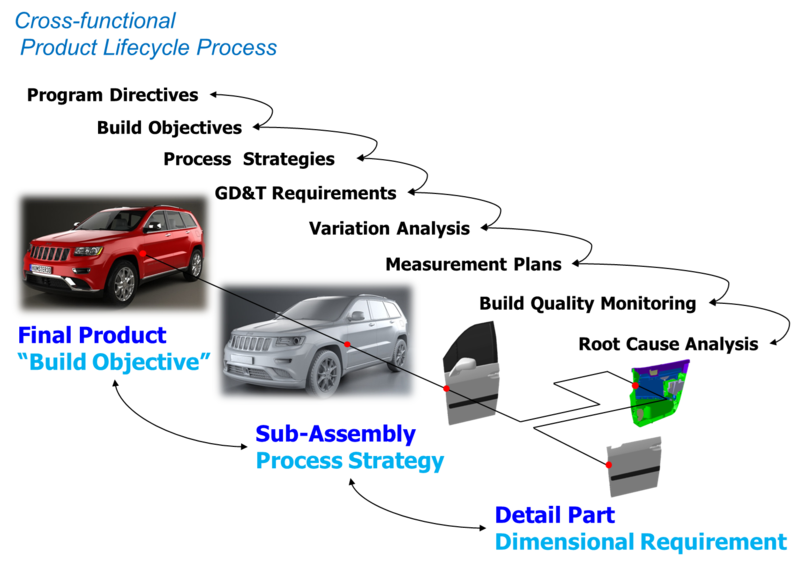 In addition to these benefits, many tolerance analysis software systems allow the user to model the assembly process. This gives a thorough understanding of how your manufacturing and assembly process will affect and be affected by variation. Con – Time and training – Creating a tolerance analysis model, and making sure it is accurate, requires both time and training/experience. A user needs to be trained and understand engineering practices in order to effectively model both parts and process. 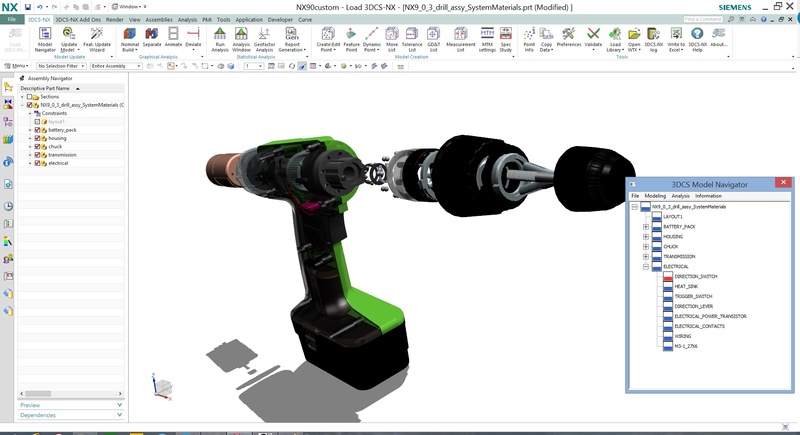 This can be partially mitigated by creating simplified models, utilizing embedded (CAD) GD&T and Joints and Constraints or by reusing historical data and models. DCS also offers mentor based training and services to help you build your models. As mentioned above, tolerance analysis can be used to reduce product cost while improving product quality. More specifically though, why should you do tolerance analysis? Improve both visual and mechanical quality of your product. Determine optimum Gap and Flush conditions based on your manufacturing processes. 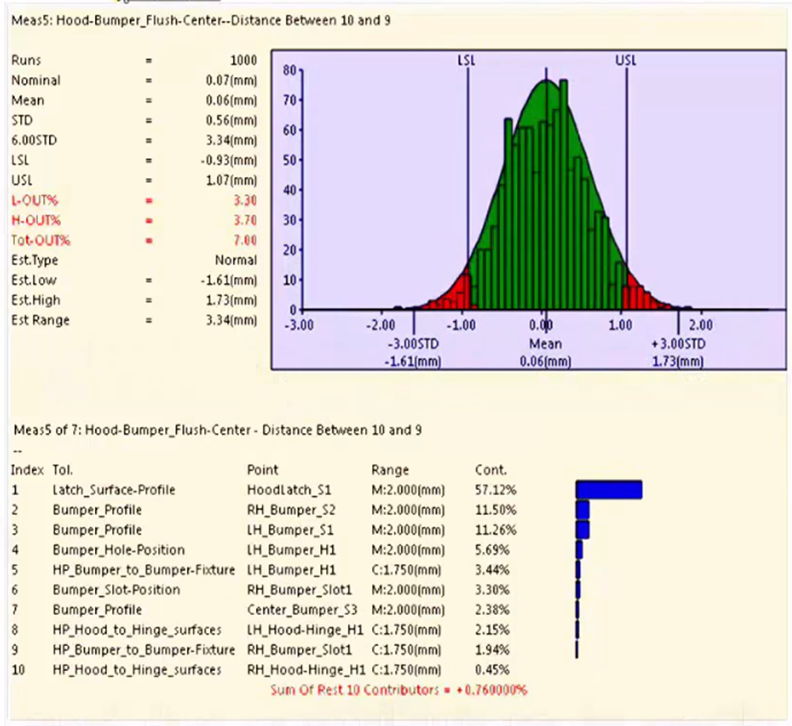 Simulate your manufacturing and assembly processes to determine optimum methods and order. Reduce overall variation about compensating for it in design. 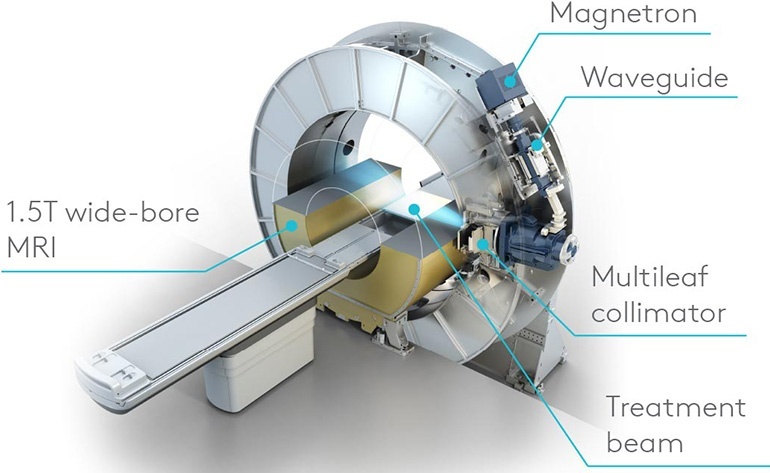 Through robust design and GD&T, reduce the need for scrap and rework. Use measurement data from the plant to resolve production issues with the CAD model. Why should we use Statistical Analysis Tools in Dimensional Engineering? A simple answer is that the tolerances in each part manufacturing process and assembly process are statistical variables. 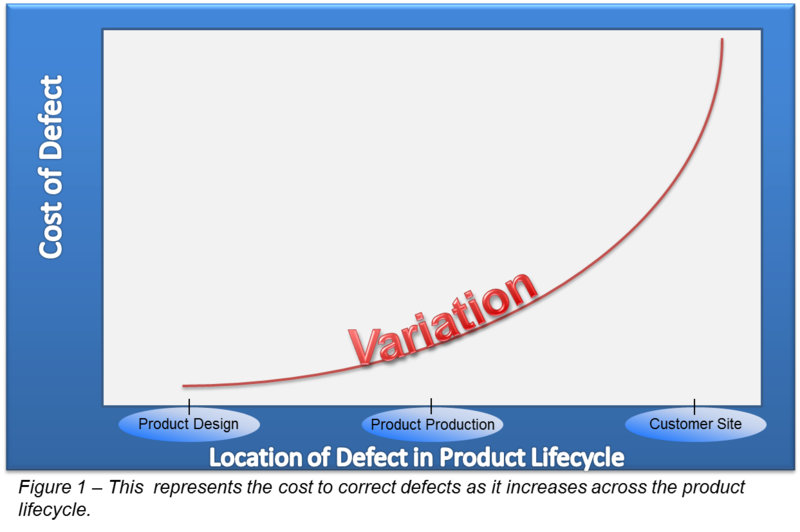 By describing product variation as a statistical distribution, as statistical variables, variation can be addressed to reduce the possibility of worst case more effectively. What probability does the product have of meeting the requirements? What percentage of assemblies will meet the requirements? These questions are more critical in the design stage than manufacturing stage for a product. A good Dimensional Engineering simulation tool, such as 3DCS, should be able to consider designed part tolerances (e.g. the profile tolerance in part manufacturing) AND manufacturing process tolerances (e.g. the tolerance from moving a sub-assembly from one station to another). In the manufacturing stage, the statistical reporting tools, such as QDM, can be used in controlling manufacturing quality by monitoring the process statistics. 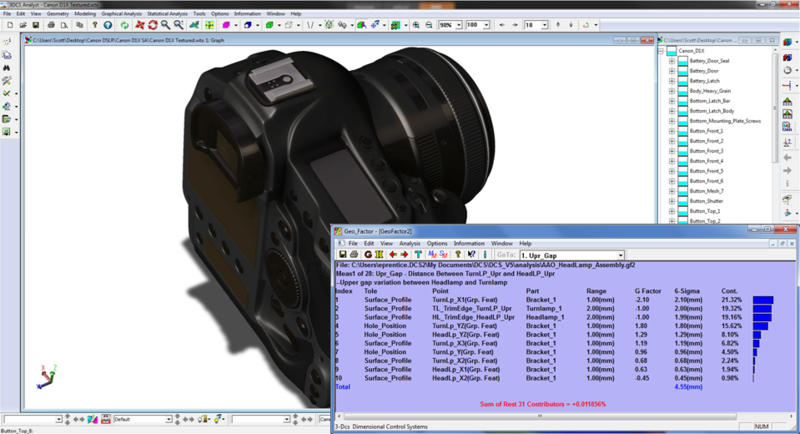 By using QDM with the simulation results from 3DCS, an engineer can also statistically compare the manufacturing results with designed results, i.e. simulation results. This method is used in Root-Cause Analysis to find quality-related problems in the manufacturing process. Tolerance analysis seeks to make design changes as early as possible in the product lifecycle, where they are the least expensive. Tolerance Analysis is applied in a variety of industries: Automotive, Aerospace, Electronics, Heavy Machinery, Medical Device and more.